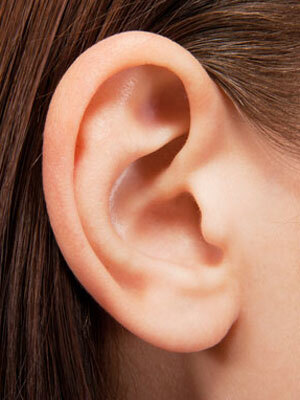 About 37.5 million American adults report some kind of difficulty hearing. Among adults ages 65 to 74, nearly a quarter have a documented form of disabling hearing loss, and that figure jumps to an alarming 50% of adults after the age of 75, according to the National Institute on Deafness and Other Communication Disorders. Make sure you have the other person’s attention before speaking to him or her. Communicate face-to-face (not from another room) in a well-lit environment so that the person you’re talking to can read your lips and use any available visual cues to better understand you. Try to communicate in a quiet environment. If you’re in a noisy place, try to move the conversation to the least distracting area possible. Slow down. Speaking more slowly will clarify your words and make you easier to understand. Avoid exaggerating your words or yelling, both of which can distort speech. If the person you are talking to doesn’t understand what you said, try rephrasing what you said rather than just repeating yourself. Advocate for yourself. Don’t be afraid to tell the person you are speaking to that you have hearing loss. Ask that person to repeat or rephrase what he or she said or to speak more slowly. Pay attention to the speaker, and take listening breaks if needed. Listen for key words and use visual cues to understand what the speaker is saying. Confirm what you heard by restating what the speaker said. If helpful, take notes or ask that important information be written down. Look into assistive devices that may improve your ability to communicate. Credit: NIH Medical ArtsIf you have hearing aids, check with your audiologist to see what kind of assistive listening options are available through your hearing aid manufacturer and/or are compatible with your hearing aids. Hearing aid manufacturers make devices that connect your hearing aids to televisions and cell phones so that the sound coming from either device is sent directly through your hearing aids and amplified for greater ease of listening. Hearing aid manufacturers also make small, portable microphones that can be discreetly worn by your friends and family members; the microphone picks up their voices and sends these signals directly to your hearing aids, making their voices louder and easier to understand. Devices that connect your television to amplified headphones. Personal amplifiers that typically include a small portable microphone connected to a set of headphones worn by the listener. Smoke detectors that emit light strobes. Vibrating clocks and bed-shaking alarms. Binzer, Susan. Improving understanding with communication strategies: What to do when you don’t understand. Cleveland Clinic (2012). Tips to improve communication when talking with someone with hearing loss. National Institute on Deafness and Other Communication Disorders (2015). Quick statistics. University of California San Francisco (n.d.). Communicating with people with hearing loss. University of Washington Medical Center (2012). Communicating with your hard-of-hearing patient.